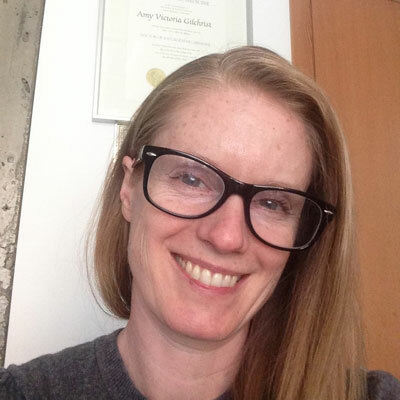 Amy is a naturopathic physician with a general practice and a special interest in women’s health. She is also the Clinical Director of the Family Naturopathic Clinic, a naturopathic teaching facility here at Acacia that provides free naturopathic care to low-income young families. Dr. Gilchrist provides an atmosphere where your health care concerns are addressed in a comprehensive and compassionate way. She works to understand the full nature of each case and the underlying cause of disease. Her treatments uniquely fit each individual patient. She utilizes proven, non-invasive techniques, primarily; acupuncture, clinical nutrition, botanical medicine, lifestyle counselling, orthomolecular medicine, body work, support counselling, and mind body techniques. Dr. Amy has also received her prescriptive authority and is now able to write or renew a prescription for anything within the Naturopathic Formulary as set out by the CNPBC. Dr. Gilchrist commonly works with gynecological disorders, hormonal irregularities, fertility concerns, cardiovascular disease, prostate, bowel conditions, allergies, autoimmune disorders, skin conditions, weight management, fatigue, and headaches. Creating protocols to promote health and healthy aging is also a party of her approach. Amy comes from a background of local non-profit and international development work, traveling and working abroad extensively. It was through these rich experiences that Dr. Gilchrist cultivated a desire to become a naturopathic doctor. Dr. Gilchrist received her Doctor of Naturopathic Medicine from the Canadian College of Naturopathic Medicine (CCNM) in Toronto. She interned in general practice at the Robert Schad Naturopathic Clinic and at The Sherbourne Health Centre, a free Naturopathic clinic for people with HIV and AIDS. She has been involved in several research projects with CCNM and Toronto General Hospital, and has co-authored papers on pediatrics in naturopathic medicine, childhood vaccinations, and HIV and AIDS. Amy is the proud mother of two little girls, whom she thinks may actually be the cutest girls in the world.